As promised in my Beauty Blender review, today I'm going to do a comparison post with the Real Techniques Miracle Complexion Sponge. Both sponges are very similar but there are a few major differences. The RT sponge has a flat end whereas the Beauty Blender is completely round. I'm not a massive fan of the flat end but it can be useful when you begin to apply foundation. I was also very surprised to find that the RT sponge is a lot bigger in size and I think it's down to the fact it holds more water. When I tested both sponges, the RT one definitely held a lot more water and absorbed more foundation. It's also a lot firmer. I bought the RT sponge a long time before getting the Beauty Blender and thought that it was very soft and light. 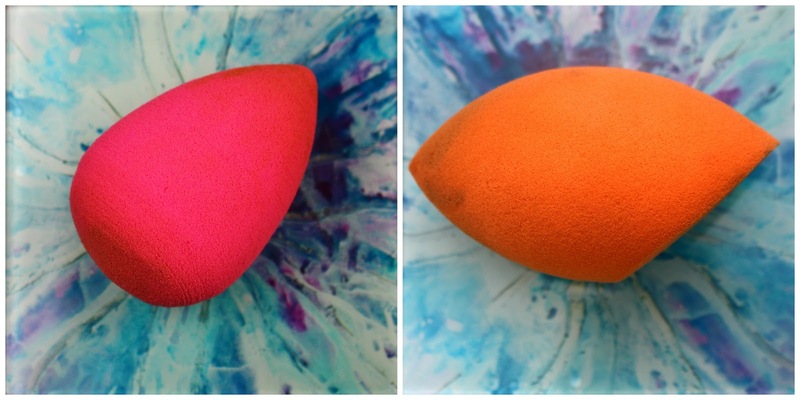 However, when you compare it to the Beauty Blender, it's a lot harder and slightly heavier. It's not a big difference but it's noticeable enough when you compare application side by side. I'd say that the Beauty Blender applies foundation better. 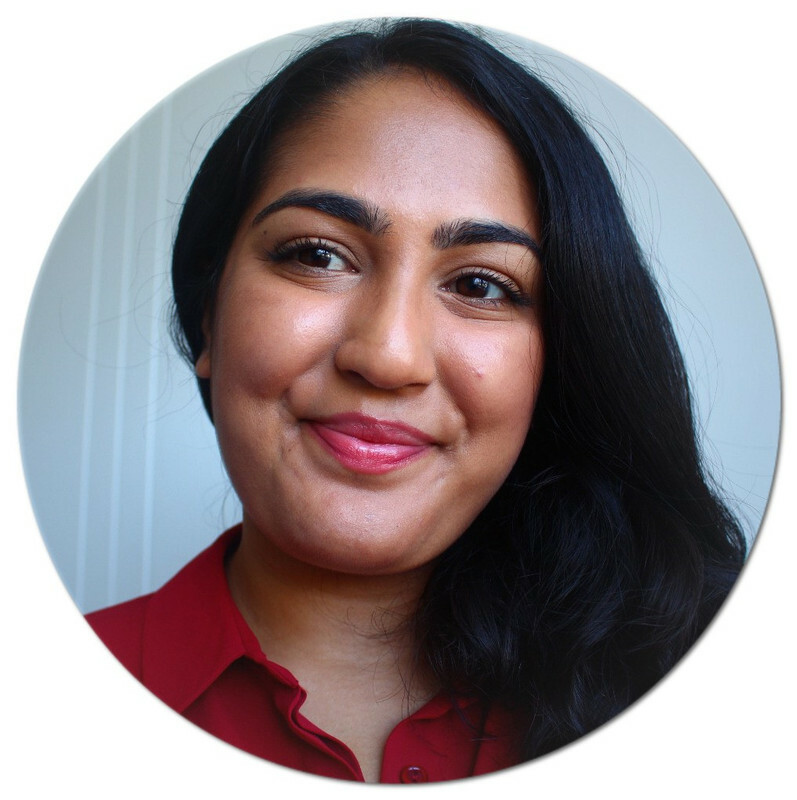 It's a lot easier to bounce the product in and it leaves a lighter and more flawless base. 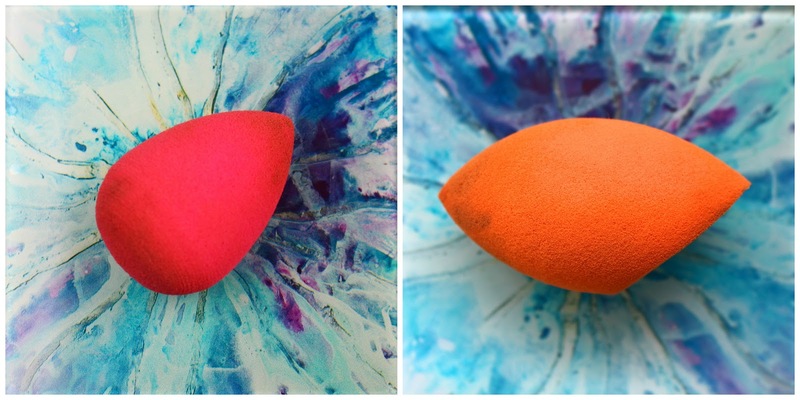 I've used both sponges for the same products and the Beauty Blender came out on top. I haven't included any pictures of half my face done with each sponge because you can't really see the difference on camera. The biggest advantage of the RT sponge over the Beauty Blender is most definitely the price. The RT one is £5.99 whereas the Beauty Blender is £16. That's a huge difference and for a £5.99 sponge, RT have done brilliantly. You do get that flawless but natural effect, and foundation and concealer blend beautifully with it. My overall opinion, having tried both, is that I prefer the Beauty Blender. However, if you haven't applied makeup with a sponge before, and you want to try it, get the Real Techniques sponge first. It's a much smaller investment and a very worthy one. If on the other hand you have the Real Techniques one and love it, I think you'd love the Beauty Blender. If you've tried both, what are your thoughts? Do any of you prefer the Real Techniques sponge? I have a dupe of the beauty blender from eBay which is amazing, it was less than £5 and it expands in size so well that it makes blending product an absolute dream. I tried the RT sponge a week ago and hated it, it just didn't expand in size at all and left streaks! Definitely recommend the eBay dupe if you don't want to splash out on the real thing. That sounds really interesting! Might have to look into that. It would be good to see how it compares to the Beauty Blender. Really! My RT one definitely expands- it's huge!